Acid jazz (sometimes groove jazz) is a musical genre that combines jazz influences with elements of soul music, funk, disco and hip hop. It developed over the 1980s and 1990s and could be seen as taking the boundary crossing of jazz fusion onto new ground. Largely initiated in London and gaining the name from the Acid Jazz record label, pioneering groups were Jamiroquai, Incognito, Galliano, Brand New Heavies, James Taylor Quartet, Young Disciples and Corduroy. In the United States notable acid-jazz groups are: Groove Collective and Solsonics. Other more recent artists and groups who have produced music in this genre include Mother Earth, Mr. Scruff, and Praful. A typical acid jazz group would consist of a rhythm section built round bass guitar, electric guitar and drums, a horn section (trumpets, saxophones, trombones, etc) tied together by some kind of keyboard instrument (providing either rhythmic support or ambient sound effects) and vocals. On the covers of the Acid Jazz ‘Totally Wired’ compilations you can see many pictures taken at the Dingwalls Sunday sessions that are testimony to the atmosphere and energy present then. Gilles Peterson coined the phrase acid jazz during the acid house craze in England. 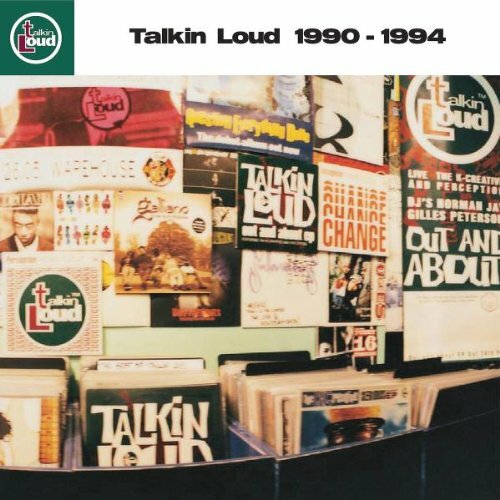 By the beginning of the 1990s, DJ legend and early Incognito fan Gilles Peterson had founded the Talkin' Loud label, and he made Incognito one of his first signings. The 1991 single "Always There" (with vocals by Jocelyn Brown) became a Top Ten hit as part of Britain's booming acid jazz scene. INCredible Sound of Gilles Peterson [Amazon US] Gilles' excursions in jazz, hip hop, house, broken beats. Worldwide Compiled By Gilles Peterson [Amazon US] Gilles' excursions in jazz, hip hop, house, broken beats.